I can't seem to find an official announcement or press release, but Carl Zeiss has apparently introduced a modern Cosina-made version of the legendary fast 50mm C Sonnar in Leica M-mount. 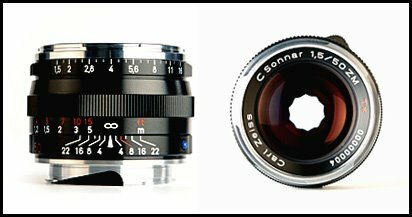 The original C Sonnar for the Contax II was one of the sharpest lenses ever made for rangefinder photography (easily trumping its Leica counterpart), one of the lenses that made Carl Zeiss famous. 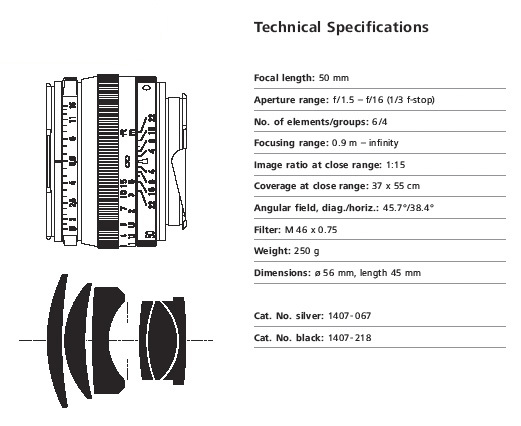 The new lens has a maximum aperture of ƒ/1.5 like the original, and weighs only 250g. Now if only they could figure out a way to make it AF and release it for the new Sony mount. Delicious! Such a 50mm would only make sense if the supposed new camera would be a full-frame, wouldn't it? What's with the star shaped apeture??? in the spanish web http://valentinsama.blogspot.com Valentin (photographer and university teacher) comments about the MTF chart of this lens. 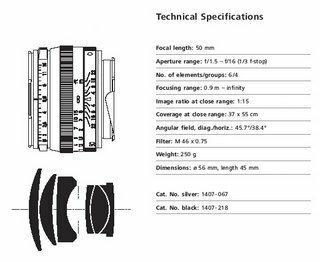 And say this lens at f4 has a peak of quality in a part of the frame that is a bit inside the tradicional 36x24mm ¿perhaps for a 1,33 sensor?